This was painted from the top of the Yamhill Parking Garage in the late '90's. 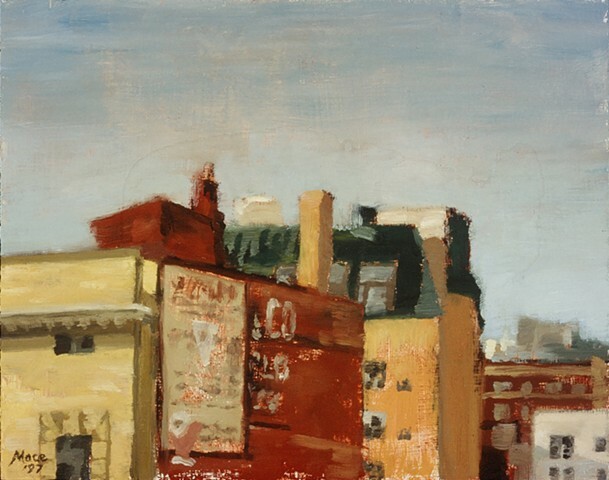 I wanted to loosen up in my painting style and began painting cityscapes plein air using a big brush and small panels. The building in the lower left foreground is the Pythian Building. Art Media was located on the ground floor of that building for over thirty years. Hipbone Studio also had one of their very first studio spaces in the Pythian.